With less than 6 months to get your company in compliance, this complete FLSA Guide will help your organization make a smooth transition. 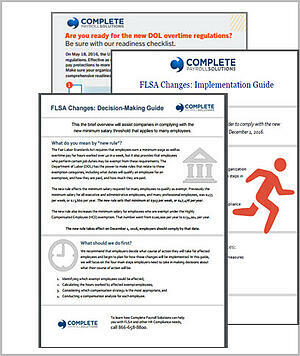 Get the free Complete FLSA Reference Guide now to ensure you’re ready when the new Overtime rules go in effect. CPS has the TIME & ATTENDANCE solutions to help businesses meet the new DOL mandate. Fill out the form to get your Complete FLSA Guide.